Ellina [Eh-LEE-na] was nervous. Her family had moved to a new town, and she would attend a very big public school. 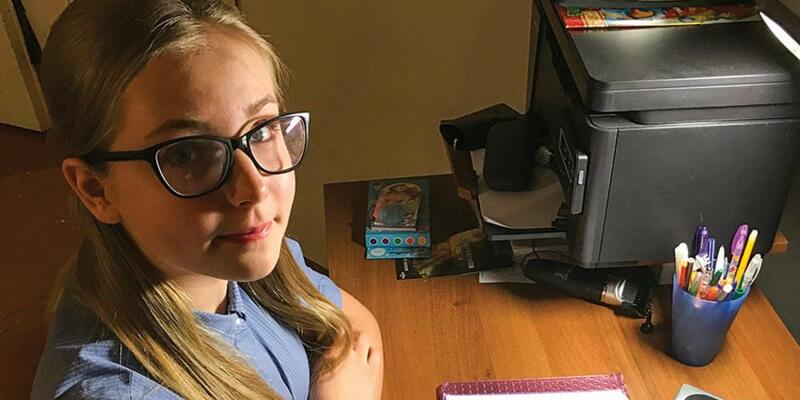 Ellina knew that children in Kazakhstan attended classes six days a week, and she was prepared to tell her teachers that she would not be in school on Sabbath. But she wondered whether her teachers would understand her religious belief and excuse her from classes on Sabbath. Ellina learned that a few other Adventist children attended her new school, but she didn’t know if they would be in her class, for the school was very big—so big that some students went to school in the morning, and the rest went to school in the afternoon. Ellina learned that she had been assigned to the afternoon class schedule. She was worried, for it meant that when the sun set early in the winter, she would miss classes on Friday as well as Sabbath. Ellina asked the school principal if she could attend the morning session, but the principal said that there was no room left in the mornings. Ellina’s father talked to the principal about their religious faith and asked her to transfer Ellina to the morning session, but the principal wouldn’t. When the sun began setting too early for her to attend classes on Friday, Ellina missed classes on Fridays as well as on Sabbaths. She worked extra hard to keep up with her classmates, but she didn’t complain. One day, one of Ellina’s classmates misbehaved while the teacher was out. He took another child’s book bag, pulled out their gym clothes, and stomped on the bag. Then as the class watched, he threw the bag and its contents out a window. The principal learned what had happened, but she didn’t know who had thrown the bag out the window. She called the students who had been in the classroom into her office. When Ellina was told to report to the principal’s office, she wondered what she had done wrong. She prayed as she walked down the hall, and she felt God take away her fear. Ellina was nervous, but she knew that God was with her, and she had no need to fear. She stood before the principal and told her what had happened. A few days later, Ellina’s teacher called her to her desk and gave her a paper. “The principal is transferring you to the morning session,” the teacher said. Ellina smiled and thanked the teacher. God had answered her prayers, and now she could attend school on Fridays as well. That evening, Ellina told her parents how God had answered her prayers. Together they knelt and thanked God for helping Ellina stay faithful to Him and to tell the truth in front of her classmates and the principal. Kazakhstan has no Adventist schools yet. But part of this quarter’s Thirteenth Sabbath Offering will help open a preschool, where children will not be told to study on Sabbath. Ellina’s mother will be the director of the preschool.